Starring Addison Timlin, Ian Nelson, Larry Fessenden, Jeremy Gardener, and Nicolette Pierini. A loner embarks upon a crime spree that she broadcasts on social media for the world to watch. Ah, social media, that great big boogeyman who we long to escape but constantly find ourselves running into the arms of when we have even the slightest hint of a like coming in for our new photo posts, video uploads or film reviews publishings. Yes, even I am addicted to those precious “likes”. Since the rise of the social media monster that we all love to hate, film-makers have been using it as the topic for all kinds of stories, whether they be romantic drivel about how lovers reconnect thanks to the modern day Cupid that is apparently Mark Zuckerberg or horror trash about lazy ghosts deciding that it’s much easier to haunt a Facebook page than it is a creaky old house. This brings me to today’s subject, the visually stylish horror/drama Like Me, perhaps the most creative and borderline weird films about our social media obsession that I’ve ever seen. Addison Timlin gives a fascinating enigmatic performance as Kiya, the film’s loner protagonist who is determined to get those “likes” regardless of what she has to do to get them. Timlin is exemplary in the role with her sly smile and often unsettling stare masterfully creating a chilling and uncomfortable atmosphere around her. I found myself deeply unnerved by her seemingly kind action of buying a homeless man some food, knowing that this apparent generosity was merely masking a darker intention. However, Timlin through her oddly charming personality manages to keep your attention focused and makes the character a strangely likeable one. You just can’t help but want to dive deeper into this rabbit hole Kiya has dug for herself, even as her crazed scheme grows ever more sinister. While the plot of the film is rather thin on the ground, with it feeling more like a series of vignettes rather than a complete story, writer/director Robert Mockler more than makes up for it with a truly overpowering and captivating visual style that you can’t peel your eyes from. This film is very much “style over substance” but boy is the style something else. Mockler shoots his film with a colour scheme marked by a heavy use of dark colours, with almost every frame of the film having a dark purple tint to it which really gives the film a nice neon-lit look to it. The dark colours are also complemented with some inventive production design, with one image of Kiya’s white room (complete with a red “bloody” ceiling) while she sits in a hammock in the middle is certainly a memorable and unnerving image, although Kiya’s blonde wig makes it looks like something that Lady Gaga or Sia would put in one of her music videos. The visuals also give way to some truly bizarre moments of surrealism that David Lynch would use as a warm-up act, with it featuring moments of juddering madness in the vain of a particular dark YouTube poop video, images of campfires turning into a pile of TV’s playing static, or a nightmarish car journey through what look like giant blood cells while eels are flying out of bullet wounds. Essentially it’s all very weird stuff that’s bound to leave you scratching your head more than a few times. The film attempts to (according to my own perception) act as a kind of commentary of our social media obsession and our ever unsuitable hunger for “likes”, with the various videos of Kiya’s crimes garnering high viewerships and warranting those “classic” reaction videos as people express their reactions through laughter, praise, condemnation, disbelief but mostly with mockery (especially towards her victims). It’s in these moments where the “antagonist” of the film arises in the form of Burt Walden, an angry online commentator who pours bile over Kiya, her actions and on the adulation and views that she receives as a result of her action, with much of it being filled with hateful condemnation and a charming “go kill yourself” style remark. Yet it seems that the world isn’t keen on hearing about how they are all horrible for watching and reacting to Kiya’s criminality, with her videos racking up nearly a million views, while Burt’s rants only rake in a few hundred thousand. Essentially, people are more keen to see others humiliated rather than be lectured to. 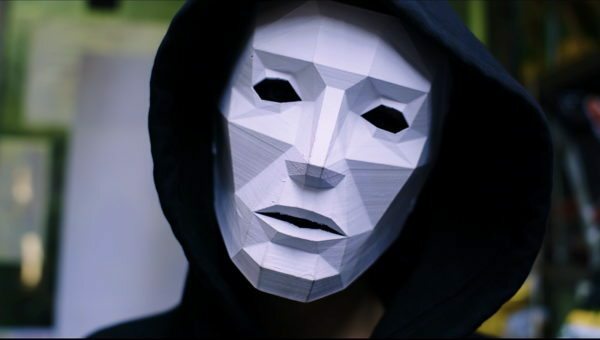 The film also shows that some people will do anything for those precious “likes” and “views” online, with Kiya’s actions being the most obvious example. But think about it, why do you think people make reaction videos? Why does Burt really make his condemnation videos? Do you think it’s out of a sense of genuine disgust for Kiya’s actions? They all do it because they want the “likes” as well and they’ll do what they can to get them. 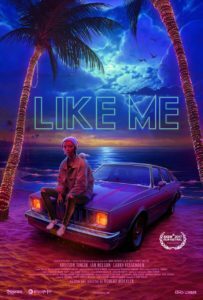 Like Me is a film that I predict will polarise audiences with some viewing it as a pretentious “art piece” that’s all style and little substance (which it is somewhat) or as a clever and original take on our all-consuming addiction to social media. 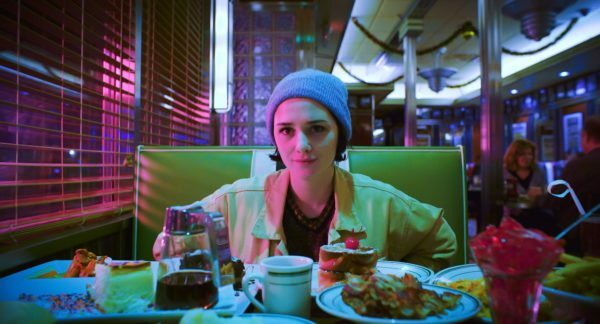 With a fantastic and deeply unsettling lead performance from Addison Timlin, a bewildering and often stunning visual style that I couldn’t get enough of and a nice subtle commentary on social media, Like Me, while not the most entertaining watch in the world, is certainly one of the fascinating films I’ve seen in a while. Check it out if you’re curious.